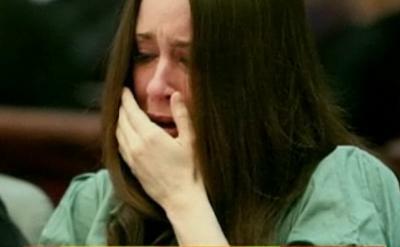 Since I wrote the blog about Casey Anthony’s body language and fake tears during her recent court date, many people have asked me how to spot a sociopath- how to spot the Casey Anthony’s of the world. Casey isn’t the only such creature in the public eye who appear s to fit the description of a sociopath. That is why I want to share with you how to read a sociopath based on their body language, facial language, voice, and speech characteristics . WHAT IS THE DIFFERENCE BETWEEN A SOCIOPATH AND A PSYCHOPATH? According to the literature and the fourth edition of the Diagnostic and Statistical Manual of Mental Disorders (DSM). the definitions are blurred as the two often share common antisocial traits. One of the main differences between the two is that the “sociopath” tends to be more disorganized like the Columbine killers and Casey Anthony, while the “psychopath” is more methodical like cannibalistic monster Jeffrey Dahmer or Ted Bundy, especially in their criminal pursuits. HOW MANY TRAITS DOES CASEY ANTHONY HAVE? The more of these traits one has, the more of a sociopath they are. When you look at these characteristics and apply them to Casey Anthony, it is interesting how many of these traits she possesses. She appears to have at least 17 of these traits of not more. While there have been clinical approaches to describing people with his aberrant behavior pattern, before this blog, no one has ever approached analyzing them in terms of profiling both their Verbal and Nonverbal Communication Patterns. I will do this for you in this blog so that you will be more able to easily recognize them. These people prey on others using charm, deceit, violence or other methods that allow them to get what they want. Therefore in terms of speech patterns, they may try to cajole you by complimenting you excessively and speaking to you with inviting words. They seem very agreeable with whatever you say in order to draw you in. Initially they would never show thatthey are contentious or had a difference of opinion to yours. That is why they are so great at first impressions because they’ll say what you want to hear. They’ll ask you lots of questions about yourself because they want to quickly figure out what you want to hear and what are your” hot buttons.” They want to know what makes you happy, mad, glad or sad, so they can play on your emotions- emotions which they lacks. The one word they will use with frequency is “I” as they have an overly inflated opinion of themselves and lives in a world which only revolves around them, with a sense of entitlement that they are the center of the universe. This makes them brag a lot and seem very cocky. They will lie to you to get what they want and has a complete disregard for the feelings or rights of others. Words mean nothing to them unless it benefits them and their needs. They are also highly receptive to perceived slights, so if you say something they think is directed at him, they’ll react by saying hostile and derogatory things back to you. (Perhaps that is why Casey’s parents always seemed to be walking on eggshells around Casey, You really heard evidence of this during the jailhouse tapes). Since they are usually impulsive and tend to live for the moment, there is little regard for consequences. You’ll often hear a lot of wild ideas and ever changing topics and subject matter during is conversation since it’s difficult for them to stay focused on one thing. There wee certainly a lot of wild ideas taking place when Casey was describing what was going on with Zanny the Nanny and the whereabouts of Casey. At first it may sound strange and macabre and it may even give you a chill when you hear them- say it. Don’t ignore your body response. It is your limbic system warning you that something is very wrong! Because most Socio -Psychopaths have been cruel to animals as children, while they may tolerate animals, deep down, they won’t like animals or may even make sadistic comments about your animal.. Any sadistic comment about animals or children are huge red flags. When Casey said to a boyfriend “Can I bring snothead?” that may have been a hige red flag. particular way their brain is wired. There is usually a deadness or a hollowness to their tone. They don’t seem to be connected as they would ever feel guilt or remorse for anything they did. But you may hear a whine in their tone from time to time when blaming others. It’s everyone else’s fault but his. You hear this message in their tone of voice. If you disagree or have another point of view, you’ll also hear the whine in the voice. This was very evident with Casey in listening to the jailhouse tapes. Because they lack empathy, that’s why you don’t hear emotion in their voice. You may therefore hear a monotonous sounding voice. But when trying to manipulate you, you’ll a shift in their normally monotonous voice. They’ll get louder and the rate of speech will get faster as they try to get your attention. You will often find a lack of fluidity in their body language. There is a stiffness and a rigidness to their movements. You may often think they have good posture, but it comes from having a rigid stance. Since movement is dictated by what you feel, and there is a void in the Socio-Psycopath’s emotions, they are not able to express the full range of emotions through their body. That is why all of these well known Socio-Psychopaths have a mechanical rigidity in their movement or little movement at all. In fact you often see them holding on to themselves as a ploy so they won’t have to express themselves, since their body language expressions are so incongruous. Because of their puffed up ego you may notice a puffed out chest or breast to go along with this ego, as well as a swagger in his walk , indicating they are above it all. When gesturing, it’ll be over the top with wide, seemingly out of control large hand and arm gestures when trying to make a point. Sometimes you wonder why he’s gesturing so inappropriately. You really see evidence of this in the jailhouse tapes when Casey is angry at her mother. They use their over the top gestures try to get your attention so they can manipulate you. You see it with Madoff and and every otheSocio-Psychopath. Because they lies so often and manipulate so well, you want to pay attention to their gaze. If they constantly look you in the eye without moving and stares at you, that is a huge warning signal they are lying to you or trying to manipulate you. Unlike a lot of liars who break their gaze, the Socio-Psychopath will intensively stare into your eyes when he wants something from you or wants to manipulate you. There’s no doubt that Charles Manson did this as he convinced his followers to commit heinous acts. You can see his intense and compelling eye gaze as you watch interviews of him on youtube. When he wanted to make a point with Geraldo or another interviewer, he looked right into their eyes, otherwise he consistently looked away. So when a Socio- Psychopath has nothing to gain from you, they’ll have a hard time looking at you because they can’t relate to you as a person. They can only relate to you as an object- what you can do for them. There was nothing anyone could do for Ted Bundy during his last interview before he was executed. That is why he made very little if any, eye contact with his interviewer as you can observe on youtube. The same holds true for ponzi schemer Bernie Madoff. In a roundtable talk he gave, he made no eye contact with anyone. Why? Because he didn’t need them. They weren’t of value to him. He couldn’t manipulate them so he didn’t even bother to try. What these Socio- Psychopaths do is use intermittent operant conditioning which tends to compel you to listen or at least to pay attention to him, by intensely gazing at you and then suddenly ignoring you eye contact wise, so you wait for his burst of attention. They can read your anticipation as well. That is how they manipulates you. Facially, they lacks animation and appropriate emotional response. Oftentimes you may see a masklike facial expression which actually looks rather pleasant because they have trained themselves to keep a pleasant expression on their faces to avoid the unpleasantness that is lurking in their minds. Casey certainly had this pleasant facial mask on most of the time.Other times she looks as though she has a smug expression on her face, This was particularly evicent during her latest court appearance when she wasn’t faking her tears. Because they are so devoid of emotion, it is impossible for them to show the wide range of emotion through their facial expression. That may be why serial killer John Wayne Gacey, who murdered so many young boys lured them into his path of destruction by painting his face as a happy circus clown. This is evident in Bernard Madoff’s communication, up until the time he was sentenced to prison. In fact many reported that he had a “smirk” up until the end. That is exactly what I am talking about. It is a half smile where they try to display pleasantness but it doesn’t quite make it, so it comes out as a smirk. Ted Bundy had the same expression and the same thing was said about him up until his execution. Wife and fetus killer Scott Peterson had the same “smirk” during the trail which unnerved jurors. He still had the masklike smirk even when he was first being escorted into San Quentin by the guards. His facial appearance appeared masklike and devoid of animation and emotion. This is a huge facial language signal that there is a problem. Unless someone’s face is boxtoxed, they must show some facial animation. But in the case of the Socio-Psychopath, they devoid of emotion, so that is why he has difficulty showing a range of emotion in his facial expression. That is why Casey’s crying doesn’t look real. Sometimes they’ll try to feign emotion by crying in order to garner sympathy. But you will rarely see tears. Since they have no feelings, which includes their having no sadness, they will often mimic crying behavior by wiping under their eyes. The give away is there are no physical tears to wipe! This was definitely the case in Casey’s latest court appearance.